With the Queen’s Birthday Weekend upon us, The Past Present is focusing on royalty. Australia has been the focus of over 50 Royal visits over the years, most recently of course by Prince William and his family. Although today many Australians increasingly support the idea of a republic, throughout Australia’s European history many other Australians have been enthusiastic supporters and followers of the British Monarchy and happy members of the British Empire. 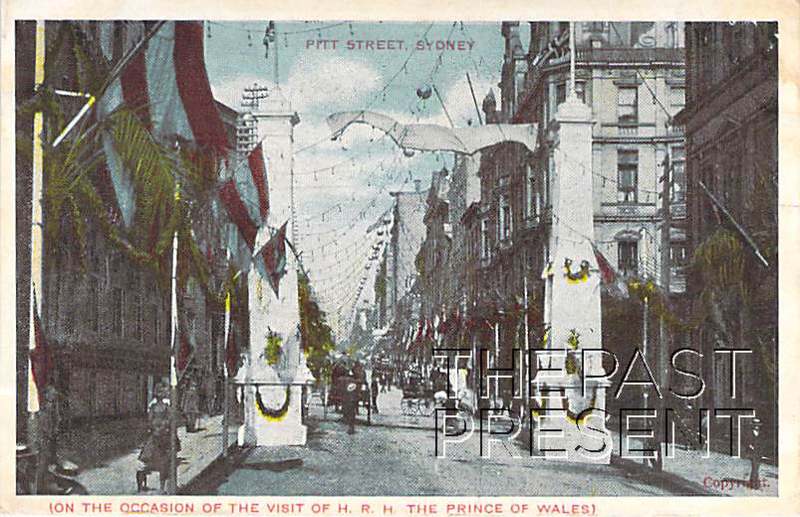 Here we focus on the visit of Edward, The Prince Of Wales to Australia in 1920. Edward arrived in Australia on April 2nd, 1920, beginning his journey in Victoria. He was representing his father, King George V and had a specific role to play during his visit – he was here to thank Australians for their part in World War One. Australians embraced the Royal Visit with great enthusiasm and enormous crowds greeted the Prince wherever he went. In fact the overwhelming enthusiasm of the crowds, combined with his busy agenda while here, meant that he had to take a week long break from official duties before reaching NSW! The Prince was very popular with Australians who appreciated his modesty and humour. After being involved in a rail accident (where he was unhurt), he even made light of the situation, thanking officials for arranging a ‘harmless little railway accident’. Edward’s nature and the affection of Australians for the prince won him the nickname ‘digger Prince’, a high compliment from Australians indeed! This entry was posted in New South Wales, Sydney and tagged 1920s, entertainment, famous people, government, postcard collection, streets, sydney, tourism.